"Things were not going well when Kim came into our home for a Feng Shui consult and it totally has changed our lives!" The increase in my business has more than paid for my investment in Finding Your Fiji services! "All I can say is wow! Since working with Kim Julen, my increase in business has more than paid for my investment in Finding Your Fiji services. More than that, I feel a calm when I’m in my office I hadn’t felt before. Plus, immediately after making a Feng Shui adjustment for clarity, I organized my desk and have kept it clear since then. Thank you!" The second showing that happened I had an accepted purchase agreement! "This is my 30th year selling real estate. The hardest part of selling a home is after a loved one has passed away in the home. There feels like there is sadness still present. In MN we don’t have to disclose a natural death to potential buyers. Although some cultures ask and if there has been they have a ritual and then proceed with buying the home. At one of our networking meetings Kim Julen had mentioned she is doing ‘clearing of homes’ as part of her Feng Shui services. The timing was beautiful for me. I had a home on the market that my client’s sister passed away in and we had it on the market too long. Things in the home were never right for each buyer who looked. The price kept lowering. I decided to give this a try. The required actions were simple to do and made sense to me. The second showing that happened I had an accepted purchase agreement. My seller enjoyed the closing listening to the buyers state all the great things in the home they loved when they looked at it. Everyone left there with smiles on their faces and ready to move on." I hung a bell on my patio door 'to call the money back' and found almost $100K! Kim's work has had a positive impact- things have changed along with my attitude! I landed two paid speaking gigs without any effort whatsoever on my part! 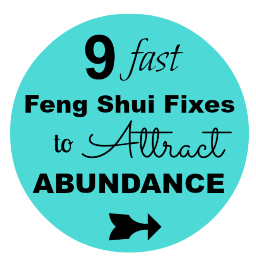 "Kim came to my home for a Feng Shui consultation and recommended several simply changes. Per her recommendations, I installed a wireless doorbell on the front of the house, and added a wind chime. Since I could not make an immediate change to the front door I added a wreath to make it stand out. What has changed? I've landed two paid speaking gigs without any effort whatsoever on my part - other than a little serendipitous visibility. I was interviewed by the Star-Tribune for a Career Guide before the holidays, prior to our meeting. The article appeared two weeks ago, and they used MANY of my quotes... the upshot is that, without any advertisement, I've had a ton of inquiries from prospective clients! After only about a week, my phone began ringing off the hook with new work coming in! "I started my business in early 2016. Like many businesses, the early days consisted of a lot of work and finances going out...with not much coming in. A good friend of mine gifted me with the Treasure Box Adjustment from Finding Your Fiji. I set up the adjustment, but did not follow the steps. As an attorney, I am extremely pragmatic and was just not so sure about this gift my friend had given me! About a month passed, and while my business was growing, it was not necessarily doing so rapidly and I had a lot of anxiety about this. I more or less reached a breaking point and decided I was going to commit to the Treasure Box Adjustment. I set it up again, and began following the instructions closing - being sure to set my intention and invite business growth into my life. The results of the Treasure Box Adjustment were nearly instantaneous. After only about a week of doing the adjustment, my phone began ringing off the hook! I began receiving numerous calls to the point I then had to worry if I could keep up with the work coming in! The fact of the matter is that I could sit and try to rationalize how this adjustment, and the other adjustments I have from Finding Your Fiji, work...but the positive impact and results that I have had speak for themselves. Kim is the real deal and her intuitive abilities are right on! "Kim is the real deal! She is generous and kind and her intuitive abilities are right on! She has a strong sense of what is helpful to share. Her powerful insights truly changed my life! Kim has the skill-set to help you find your "Fiji" in so many areas of your life. Get started with her now...you certainly won't regret it!" “Your reading really gave me the confidence I needed. Before I saw you, I was concerned about money and if it was the right time to focus on Healing Touch as my practice. Your reading gave me the confidence I needed to take that leap of faith and to also accept whatever support was given. After the reading, I decided to put my energies into starting a practice, and since doing so there have been several interesting, exciting business opportunities that have been presented to me! One just today, as a matter of fact. I cannot thank you enough for giving me clarity and the confidence to pursue my dreams!" "Wow! I got so much out of your reading and it was SPOT-ON. Your huge heart and authenticity shines right through."